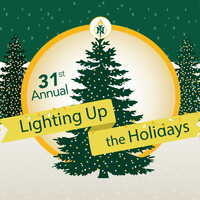 Northern Michigan University's 31st Annual Lighting Up the Holidays! Free for NMU families, students and surrounding Upper Peninsula communities. Wow! I am so glad to see that Northern Michigan University just announced this event to happen for 31st time in their history. They actually give full invitation to their students and their families to join this https://uk.edubirdie.com/blog/edubirdie-review event and enjoy those lights which they specially arranged for it. By the way I would love to go in this event so thanks for sharing all the details regarding this event. I am trying the wrist tattoo shown in this post of https://tattoosboygirl.com/tattoos-for-girls/ tattoo ideas for girls. What you say? Thanks for sharing all the details. Grab the opportunity to develop your own unique games by expert game development studios https://rvtechnologies.com/mobile-game-development-company/, using the latest designing software tools to give an appealing user interface. Here, check the top gaming firms https://emarketingblogger.com/top-best-game-developers-in-india/ that are developing interesting concept games.